Let them eat cake! But timing when you eat that cake is everything according to physicist and author of The Carb Nite Solution, John Kiefer. Listen in this week to learn some basics about how to use carbohydrates to your advantage. Carol and Lisa pick his brain about what should be considered for the high-performance athlete, the average Joe and the middle aged mom just trying to get ready for bikini season. Welcome to the Fat2FitHQ podcast. I’m your host, Carol Salva and along with me is Lisa Jarmon of Middletown, Ohio and John Kiefer of Athlete io. In this podcast we are chronicling our journeys from Fat to Fit. We talk about pursuing a healthier lifestyle not only in diet, but in all areas of life. 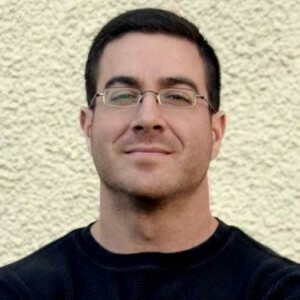 Introduction: John Kiefer has a Masters in Physics, a former career in software engineering, author of The Carb Nite® Solution and Carb Back-Loading, Manual for Total Body Fat Control. He is also the host of a new podcast, Body io FM. Kiefer combines the best of laboratory research with tried-and-true real-world knowledge to guide himself and those who seek his advice. You can find all his links at http://athlete.io/. Lisa’s questions: Do you believe leucine is an appropriate tool for those who have difficulty regaining a state of ketosis following their carb nite? Is there any benefit or risk to intermittent fasting (until perhaps lunchtime) on the days between carb nites? Is it problematic not to eat on the day after carb nite if not hungry? Is morning exercise in a fasted state advised or discouraged? When will the new podcasts begin? Carol’s questions: How did you discover this? What lead you to this research? Can you explain the basic foundations of Carb Nite vs. Carb Backloading and why it works? Can you tell us how this is different for women… if it is? How important are heavy workouts for fat loss? How do you feel about overall calories? Join TEAM FRN: The Gun Runners! We call ourselves runners but we are mostly gun-walkers. Run/Walk with us on June 7th in Nashville, Tenn!